The Dictionary Of Dangerous Ideas is a collection of the most challenging concepts facing business leaders at the dawn of the 21st century. At the intersection of emerging technologies and new patterns of human behavior, the ideas in the Dictionary have been chosen for both their potential to transform the way companies operate, and inspire new forms of thinking. 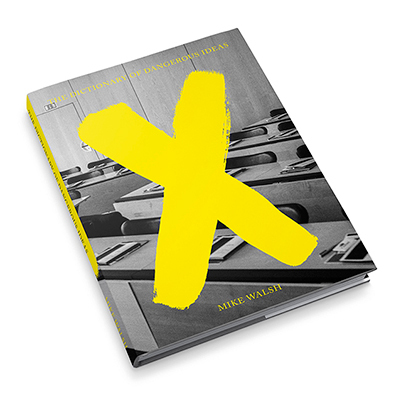 Global futurist and innovation expert Mike Walsh presents 88 scientific breakthroughs, emerging technologies and disruptive business models - all with the potential to shake the foundations of the world we know. Each idea is concisely explained in a single page, with references to the latest case studies and research, as well as one of Walsh’s characteristic ‘Mind Grenade’ questions to prompt further discussion. The Dictionary of Dangerous Ideas is the essential companion for any leader who wants to understand what it will take to survive and thrive in the near future.